This is a hard one, but if you think, you just might guess. We read about Alvin Ailey and Leonard Bernstein, below. Leonard Bernstein wrote a theater piece called, Mass. Can You Guess what connection Alvin Ailey had with Mass? 1822 - Debut of Franz Liszt as a concert pianist at age 11. 1945 - Bette Midler, American singer / actress, was born. 1956 - Debut of Leonard Bernstein's Candide at Martin Beck Theater, New York City. Click here to listen to a midi file of the overture. 1989 - Alvin Ailey, American choreographer, died. Stephane Grapelli (born "Grappelly") died December 1, 1997. He is considered the "grandfather of jazz violinists." Stephane was born and raised in Paris. His mother died when he was just 4 years old. During World War I his father was called up to serve in the military and Stephane was placed in an orphanage. After the war his father returned, but they were desperately poor. By the time Stephane was 12 years old he had already acquired his first violin. Not having money for lessons, Stephane taught himself the instrument. The violin is only one of several instruments he would learn. Stephane's father was a philosophy teacher, and he did not make much money. Stephane helped out with finances by learning the piano. His first job was accompanying silent films. "In the cinema, I had to play Mozart principally but was allowed some Gershwin in funny films. Then I discovered jazz and my vocation and kissed Amadeus goodbye." A French jazz musician, Philippe Brun, introduced him to Django Reindhart, and a new sound was created -- violin/guitar jazz. Soon after that meeting they formed their legendary Quintette (unique in that there was no piano present), with Reinhardt's brother, Joseph, and Roger Chaput on guitars and Louis Vola on double bass. Lime House Blues, China Boy and It Don't Mean A Thing were recorded in 1935, and have made their way into books telling the history of jazz, and 1938's Them There Eyes and Three little Words were not far behind. 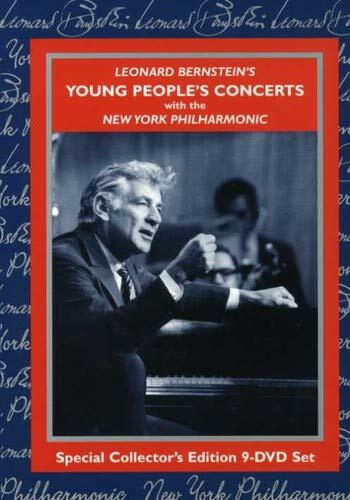 Bernstein's Young People's Concerts would be a great gift to your student, or a donation to your school or public library! Instill the love of classical music early! Did You Guess? Since it was produced for the stage, it needed to be choreographed. Alvin Ailey was the choreographer for Leonard Bernstein's Mass. From the 1940's through the 1970's Stephane continued to record and play concerts. In spite of the growth of rock n roll, Stephane continued to enthrall enthusiastic audiences at his concerts and produce successful recordings. In his later years, he was best-known for his recordings with Oscar Peterson, Jean-Luc Ponty and classical violinist Yehudi Menuhin, with whom he produced six records and performed his 70th and 80th birthday concerts. Menuhin said, "Stephane is like one of those jugglers who send 10 plates into the air and recovers them all." Click Here to see one of their albums. Sound bites there will let you hear some GREAT jazz violin. Even into his 80's Stephane said that he was continuing to improve his technique by listening to recorded music and incorporating things he heard, or changing things he did not like. On his 85th birthday he told interviewers that he had no intention of retiring. 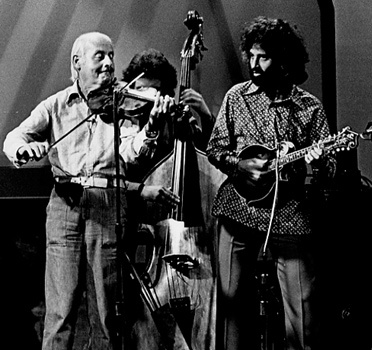 Stephane Grappelli died December 1, 1997 following an operation to repair a hernia. Quintette broke up at the outbreak of World War II when the other members decided to return to Paris. Stephane preferred to remain in London, but he returned to Paris in 1946. He and Reindhart reunited, but the spark was just not there. I own and play a violin purchased from Old Violin House. 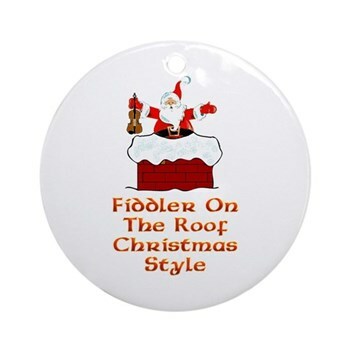 If you are considering a violin as a gift for someone this Christmas, take a look at their items. And if you buy something from them, I hope you're as pleased with your violin as I am with mine.